TBT (February 27, 2015) - 4 years ago, the tallest building in Miami - Panorama Tower was just starting to go vertical with two cranes installed at the site. The building would top off in April 2017 at 868 feet with incredible 360 views of all of Miami. Panorama Tower would eventually open in May 2018. Since starting construction and pouring the foundation at Panorama Tower, the building is slowly making its way above ground level. Two cranes have been added to the site at 1101 Brickell Bay Drive. Panorama Tower has received a temporary certificate of occupancy (TCO) for the first 46 floors of the building allowing residents to move in. The upper floors of the building, floors 47 - 85 are expected to receive TCO later this Summer. The Hyatt Centric Hotel opened earlier last month at the base of the building. 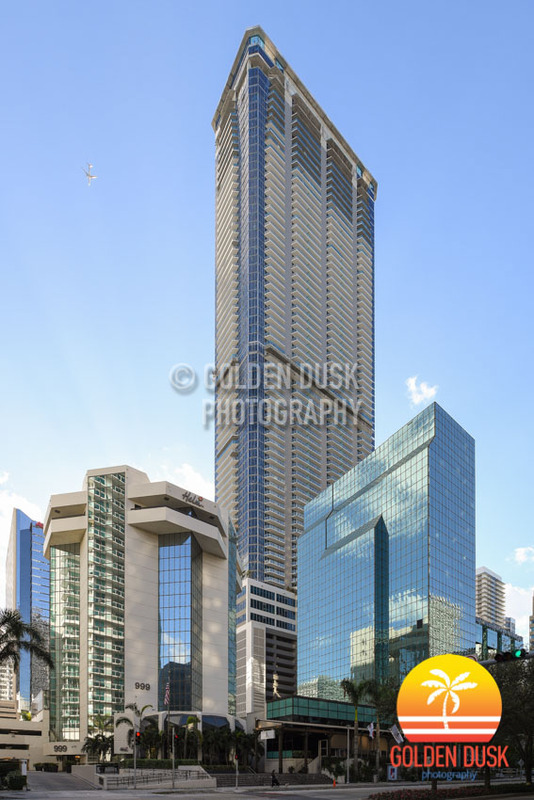 The 85 story Panorama Tower is the tallest building South of New York City at 868 feet with spectacular views of all of Miami at the very top. Previous construction photos of Panorama Tower can be viewed here. 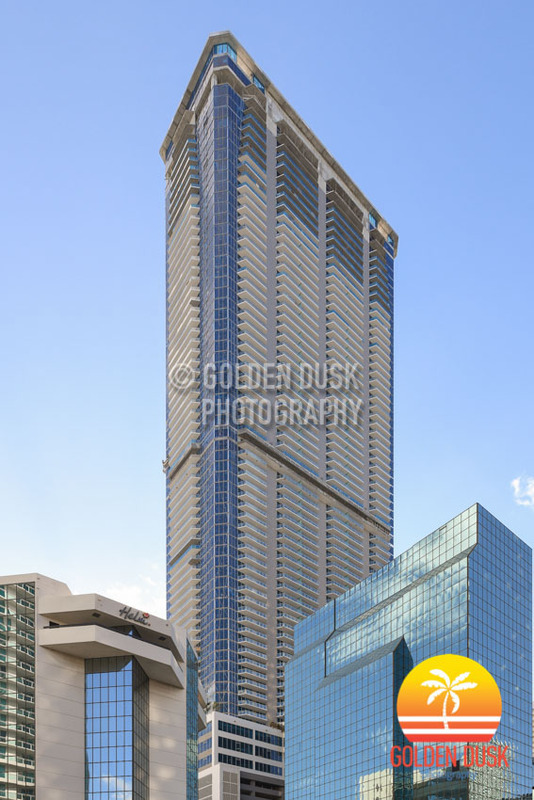 The Hyatt Centric at Panorama Tower is scheduled to open today in Brickell. With 202 hotel rooms, Hyatt Centric will occupy the lower portion of the 85 story tower, which will be the tallest building South of New York City. Work is still being completed on the 19th floor pool deck and the apartments units above. Views from 868 feet at the top of Panorama Tower can be viewed here. Since topping off in April 2017, Panorama Tower is getting closer to opening in Brickell. Work is still continuing on the residential portion of the building and also the Hyatt Centric Hotel, which will occupy floors 3 - 18. The amenities deck will be located on the 19th floor that overlooks Brickell Bay Drive on the East side with views of Biscayne Bay. 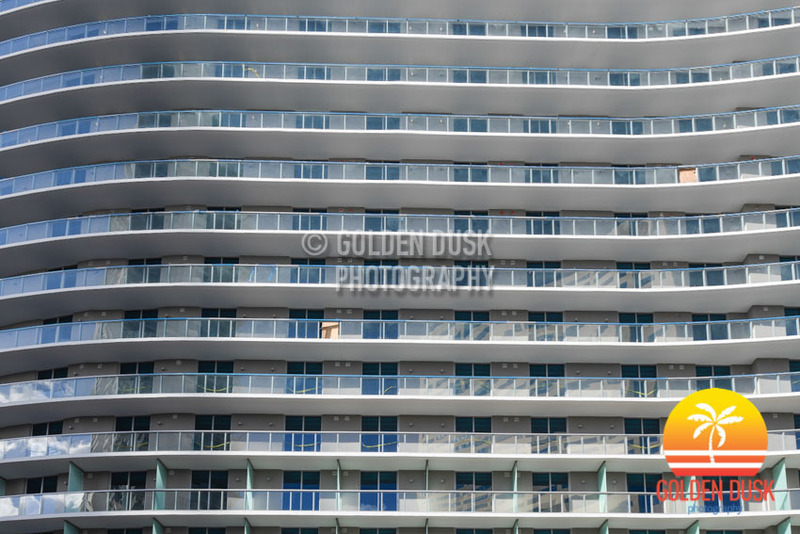 The West side of the amenities deck overlooks Brickell Avenue and has views of the city. 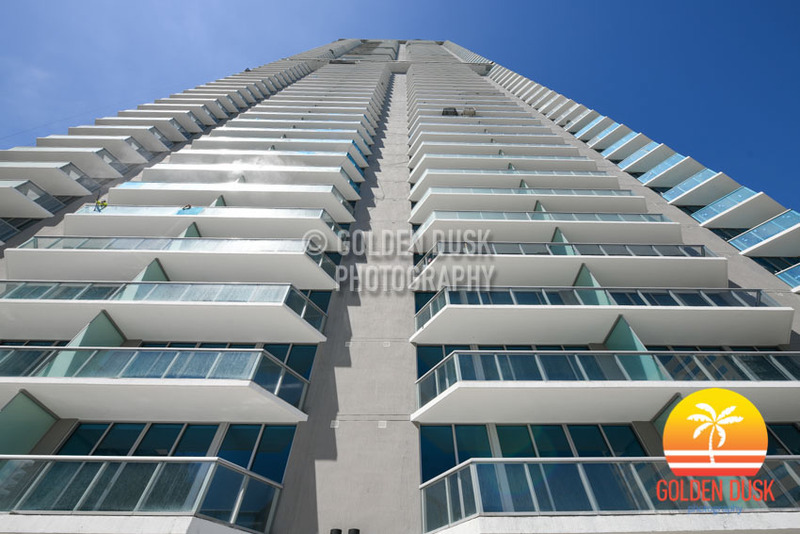 The 19th floor amenities deck features one of the largest pools in Miami. At 85 stories and 868 feet, Panorama Tower is the tallest building on the Eastern Seaboard South of New York City. As the building grew taller, we showed views from the 57th floor, the 67th floor, and finally the views from the top as the building topped off. 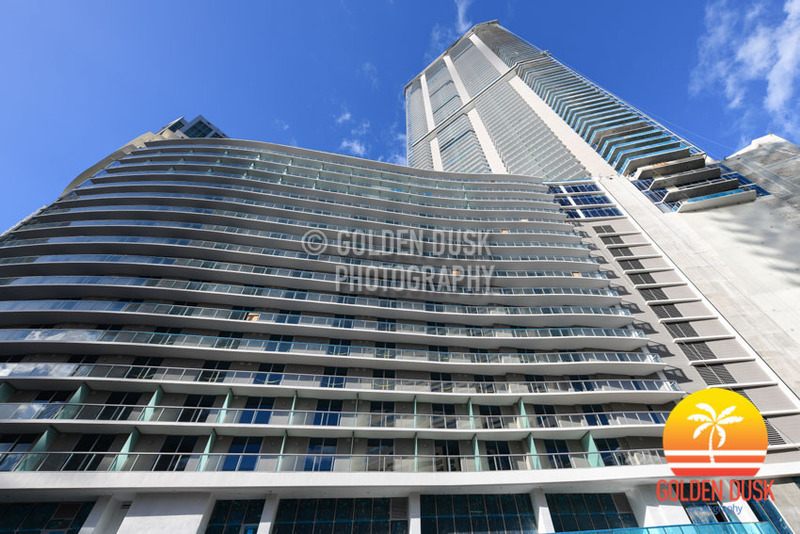 As Panorama Tower inches towards completion we once again show the views below from 868 feet as the building soars over Brickell and offers incredible views of the city. 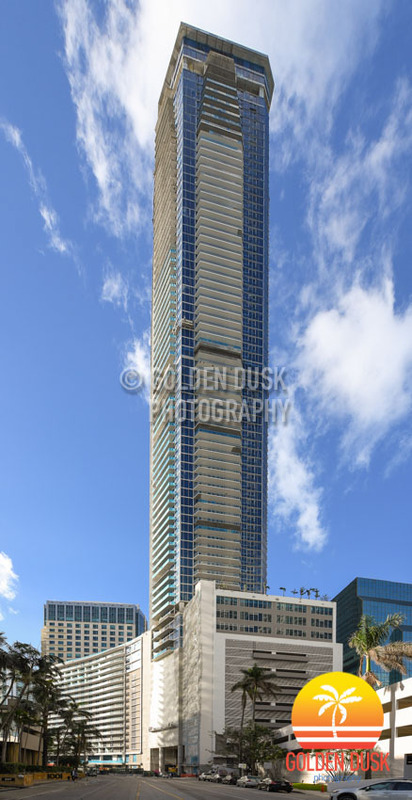 The 868 foot Panorama Tower, the tallest building in Miami and tallest building South of New York City is getting closer to completion since we last looked at the beginning of the year. The lighting on the exterior of Panorama Tower illuminates the tower at night while it looms large over the other buildings in the vicinity. With incredible views from the very top of the building, Panorama Tower is expected to be completed in March. When we last looked at Panorama Tower in August 2017, all the cranes were removed from the building. In December 2016, the 85 story tower reached the 67th floor where we showed the 360 views from that height. In April 2017, the building topped off and again we showed the views from the top of the tallest building South of Manhattan at 868 feet. Panorama Tower is scheduled to open March of this year with 821 rental units and a Hyatt Centric hotel on the first 17 floors. Construction on Panorama Tower began June 2014 after the demolition of the parking garage on the site.